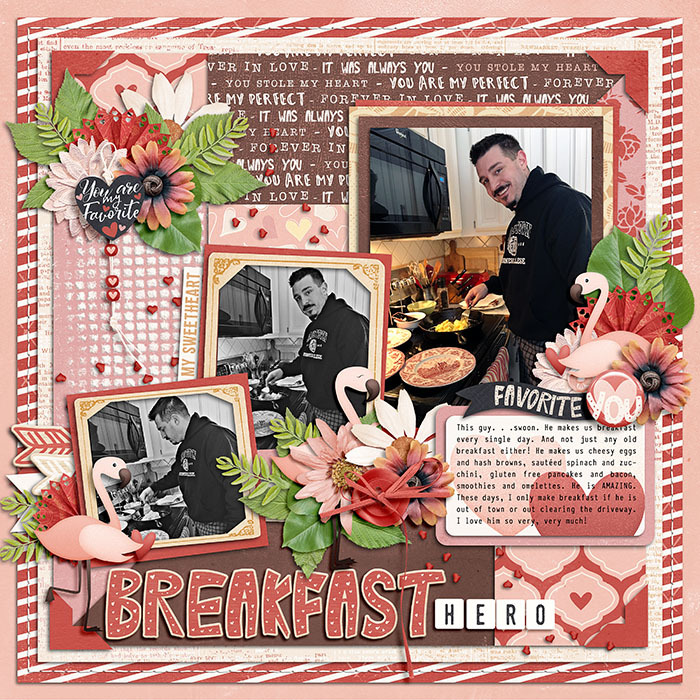 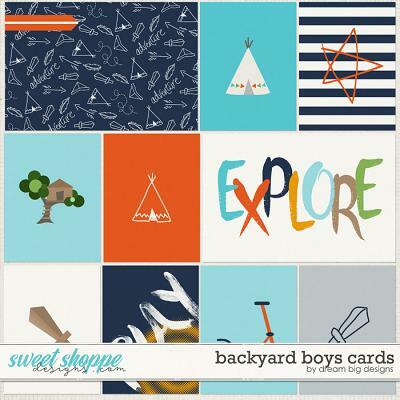 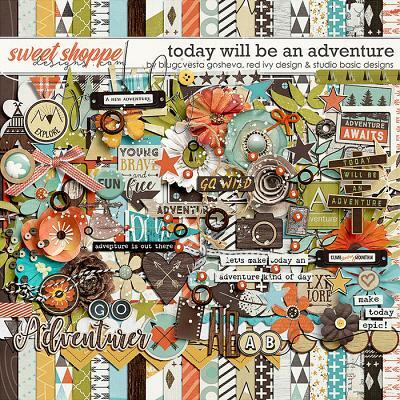 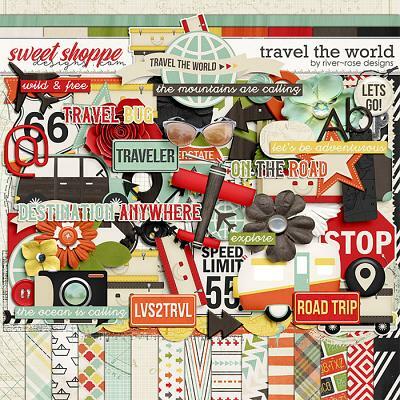 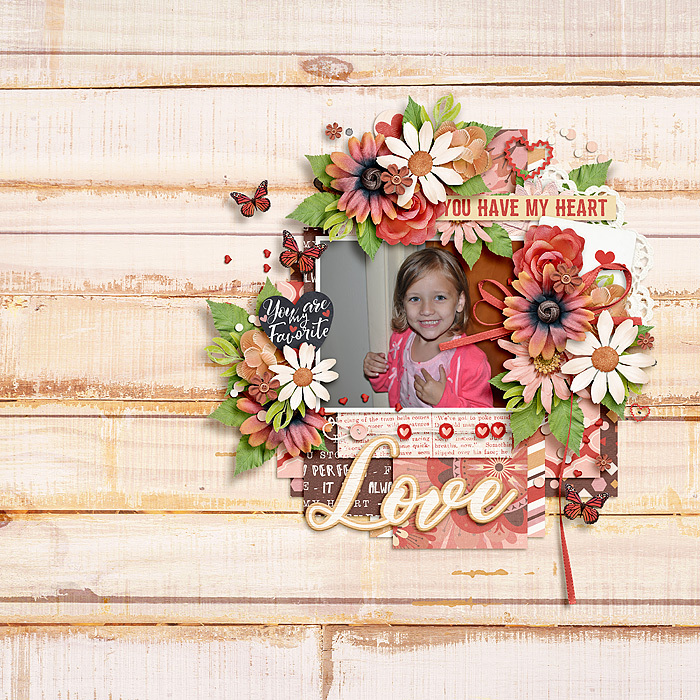 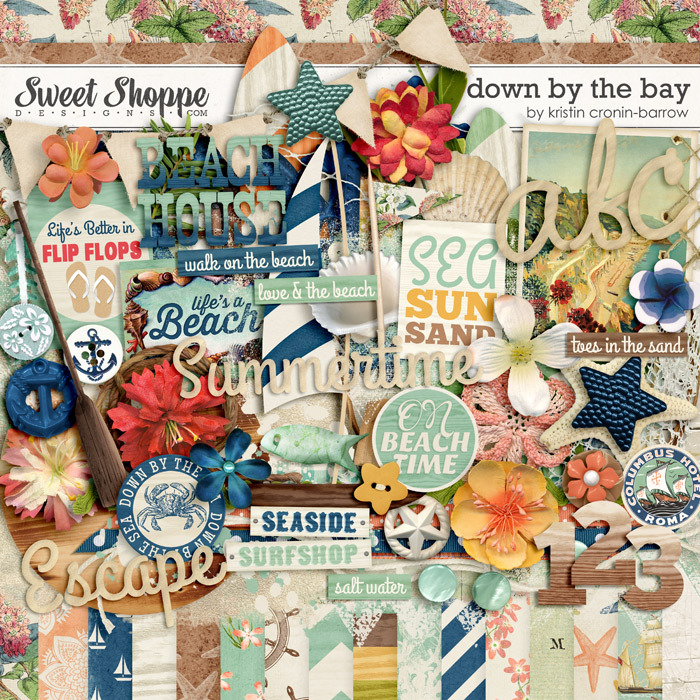 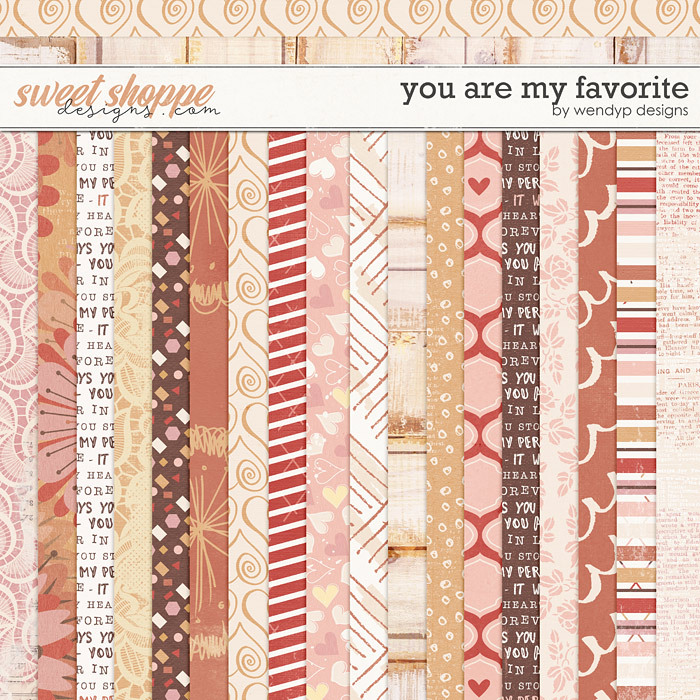 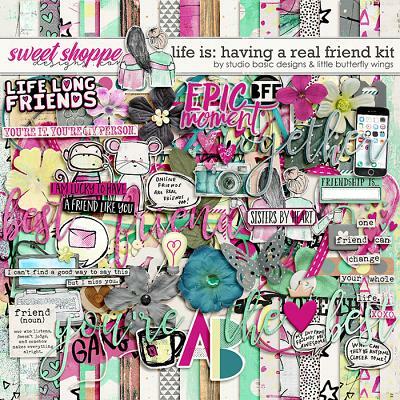 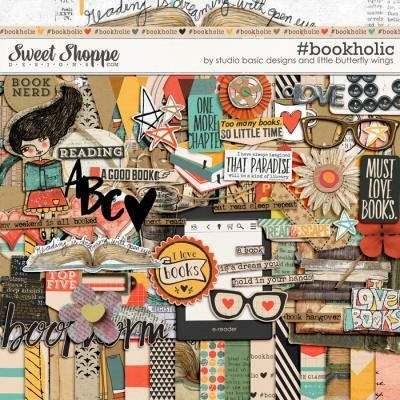 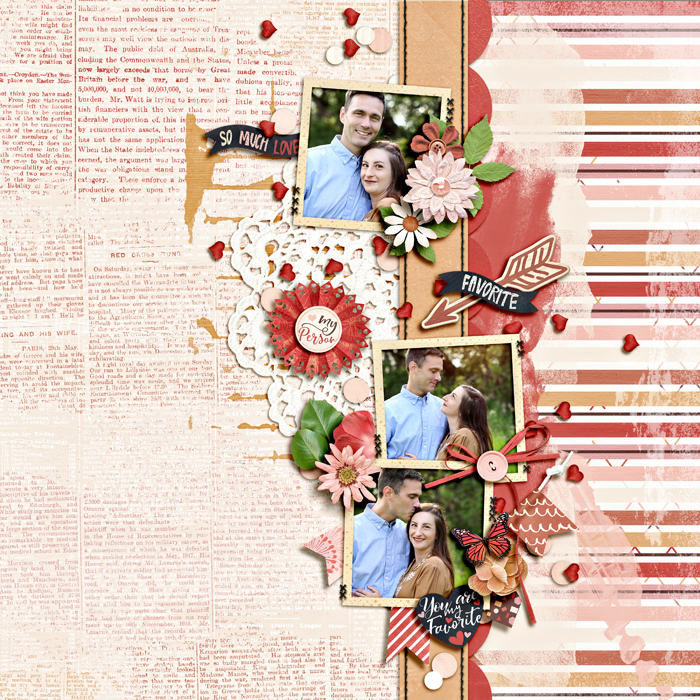 A digital scrapbooking collection by WendyP Designs, You Are My Favorite, is perfect for celebrating those you love as Valentine’s Day approaches. 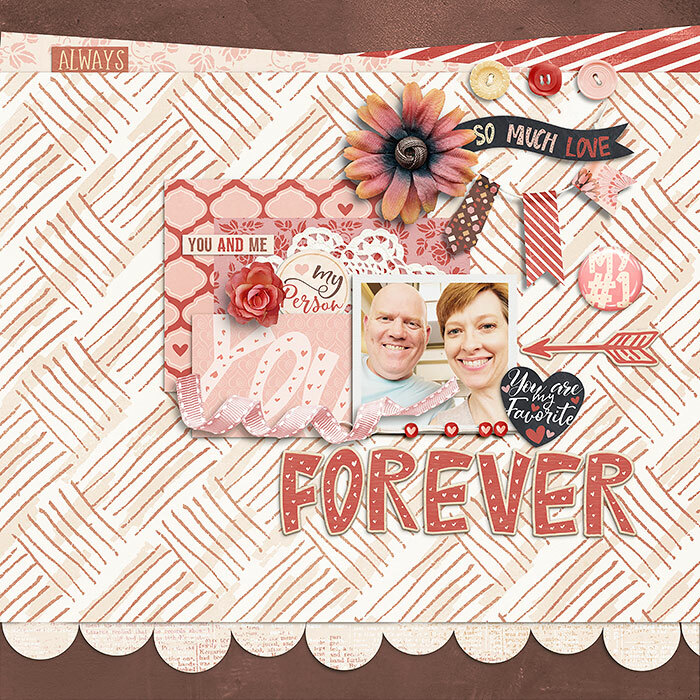 Document precious time with your sweetheart, or anyone else who has your heart with fun elements and papers in shades of pink and red. 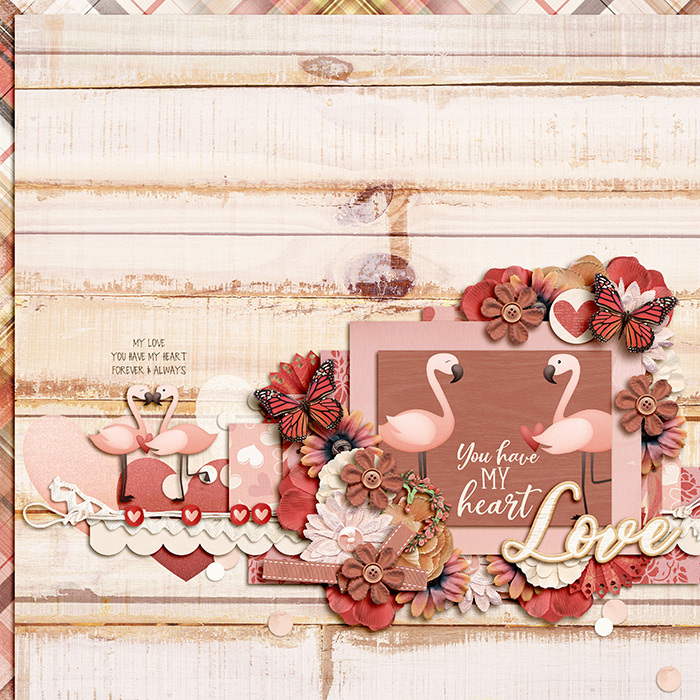 This kit includes 29 papers (20 patterns and 9 solids) 80 Elements (3 arrows, 1 banner, 2 beads, 3 bows, 1 butterfly, 4 buttons, 1 chalkboard, 1 confetti, 1 crochet, 1 doily piece, 2 flair, 3 flamingos, 11 flowers, 3 foliage, 3 frames, 2 hearts, 6 labels, 1 lace, 1 note, 3 paint, 1 play card, 1 raffia, 3 ribbons, 1 ricrac, 2 rosettes, 1 splatters, 1 string, 1 tape, 5 word art, 9 word strips, 1 wreath) and 2 full alpha sets.